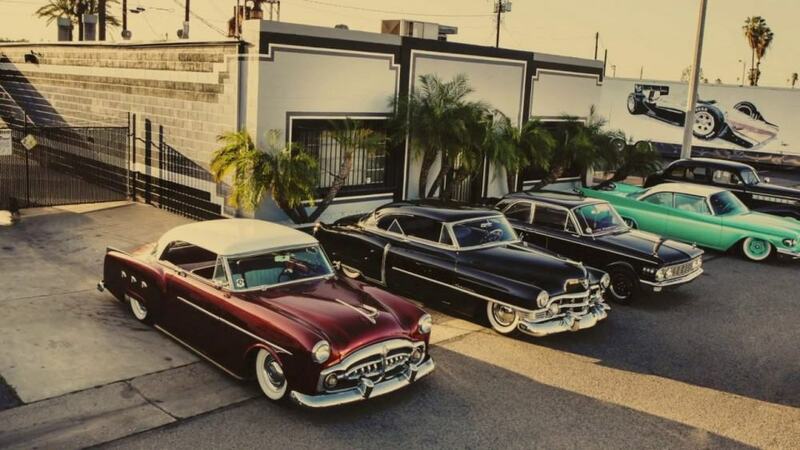 Well, every now and again I like to Blog about experiences and companies that I personally have been involved with, be it helping out or having them help me out and today I wanted to concentrate on a great family run business located in the City of Anaheim just by the 5 freeway and it is called Anaheim Rod And Custom. Now, before I start my ramblings, yes, there are a plethora of Custom shops located all over California, I mean, thats where it really all started here in the late 1940’s when the Late great Wally parks started the NHRA and from there on, Customs and Hot Rods have been created in this great State and Anaheim Rod And Custom is one shop that stands out in the crowd as one of the best Customer Service businesses that you will ever encounter. Just a quick look at how Matt created the Front door of the shop. 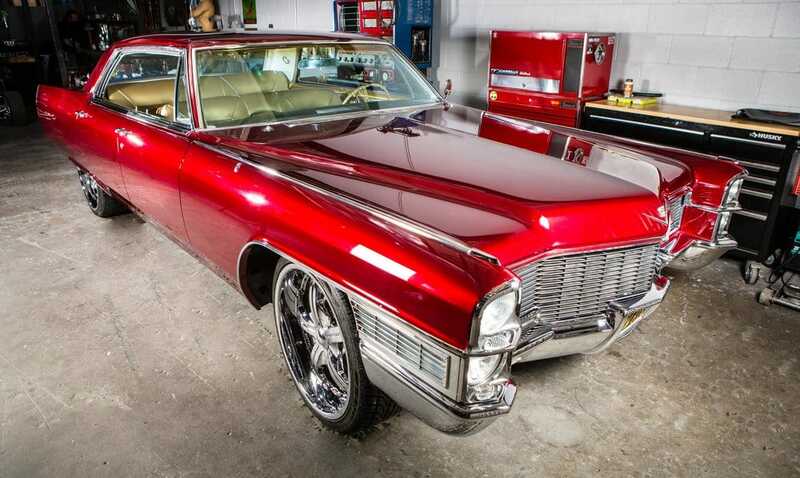 Of course there were the Likes of Barris, Winfield and Daryl Starbird etc knocking out some head spinning work that was way beyond its time, but here at Anaheim Rod And Custom, that flavor has not soured at all, in fact there is always something cool and unique that is being worked on in the shop and the attention to detail is phenomenal. 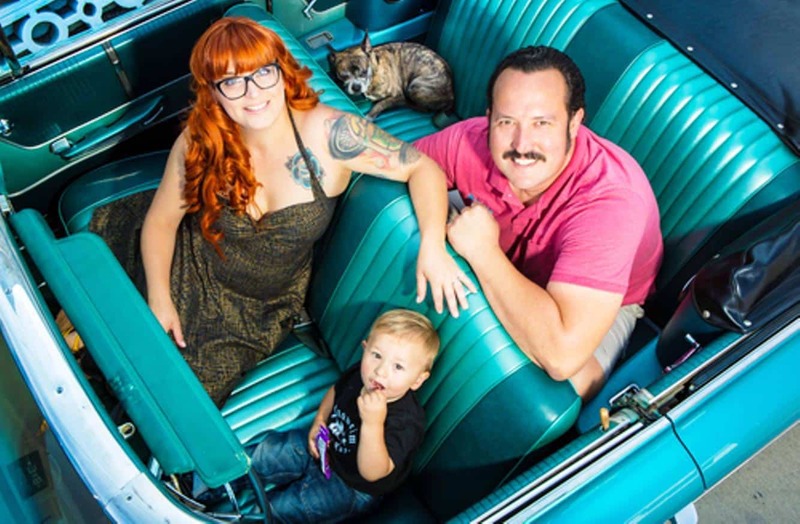 Matthew Means started this business almost 20 years ago and has always had a hankering of being his own boss and starting an Automotive Restoration company, Matt was in business with a partner at the time and then met the adorable Pin up Girl that I know as Becky Sue. There is not too many business that is family orientated and work with each other every day and, if they do, then they understand that its not an easy venture with many bends in the road, but the straight away stretches out number the curves and when Becky Sue met Matthew at the Continental room- Which is an old school speak easy that has been around since 1925 in Fullerton. Well, it was meant to be. 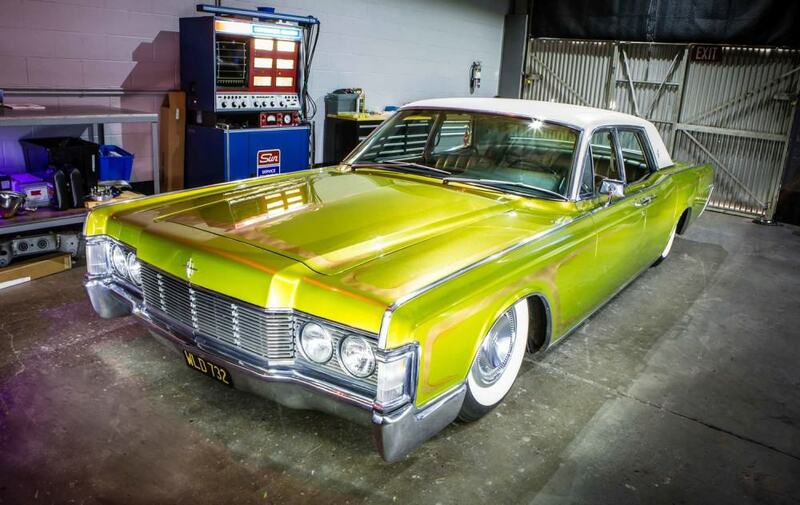 A little video of the 1965 Merc Project that came out of Anaheim Rod And Custom for you to see. 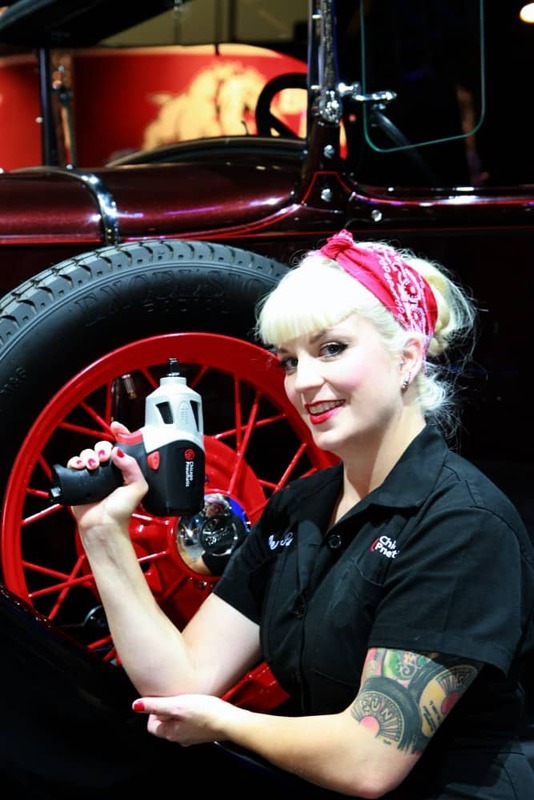 I met Becky Sue at Fudruckers at a car show, I was doing a TV show at the time and we interviewed Becky Sue as she was a Car Nut and loved everything about Customs, Hot Rods and Pin Up stuff, so we got on like a house on fire. 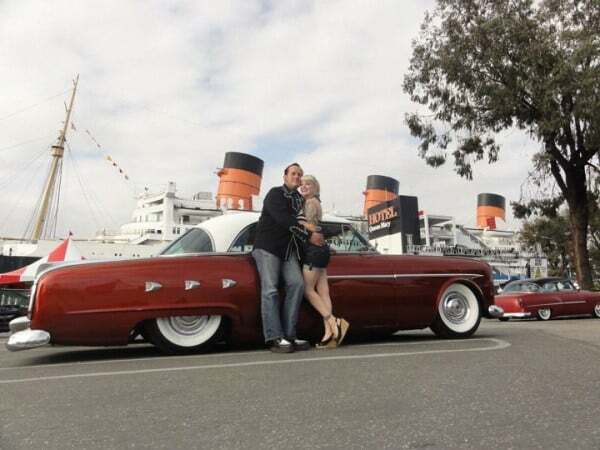 Well, to wind on a few years, I hadn’t seen Becky Sue for a while until I saw her in a Cool Parts car and was driving by my shop, she stopped as she recognized me then informs me that she met Mathew and they got married and have a Automotive Restorations Business called Anaheim Rod And Custom. Now, bear with me on this, about 6 years ago, Mathew had organised a Huge Tiki styled Custom Car show at Don the Beachcombers on PCH, Becky Sue said to come along and meet her fella, well I not only met Matthew there, I met my wonderful Hawaiian Girlfriend there Jennifer Sun, who I am still madly in love with today and if it wasn’t for that show, I may of never had met Jennifer. So I will always be indebted to these Two for helping me find the Girl of my dreams and like Becky Sue, we do a lot together and she helps me run my Business with book work, tax’s etc and general show organizing etc. 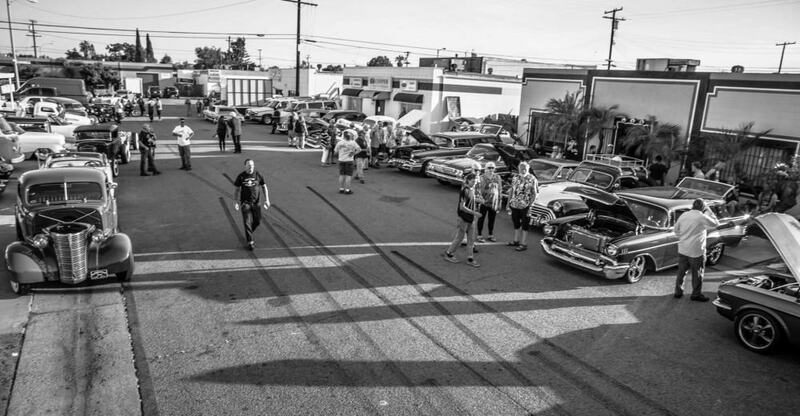 Its Great having a partner in the business with you so understand these two who run Anaheim Rod And Custom. 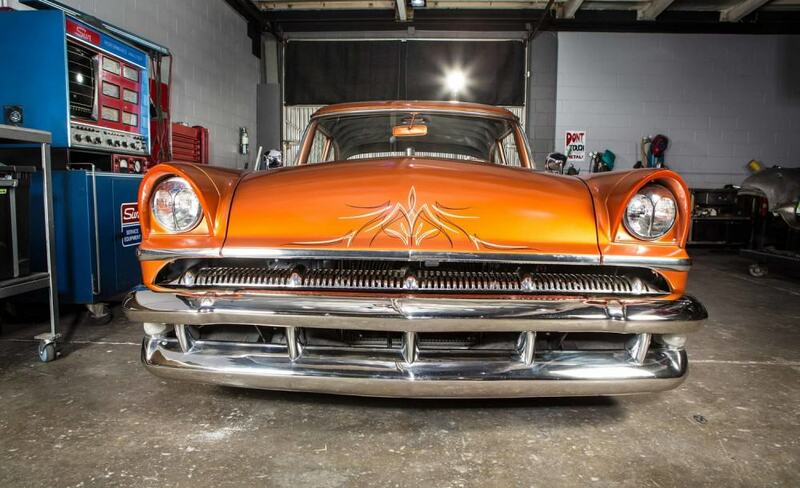 So, almost 2 decades of building cars and painting under their belt, also Matthew wanted to pass on this business to his son when he obviously gets a little older, their first son was aptly named Atom Ford Means, so with a name like that, you better be in the Automotive business eh? They also have a wonderful bundle of Joy named Presley Mae and many times you might just catch them at the shop, learning the ropes as early as possible, nice to see too. Now, I can go on and on about what they have built etc but what you all need to know is that this is one of the best Quality shops you will find that gives such personal attention to your machine, after sales service is also impeccable with a great atmosphere when you entire their abode, you are first met with a smile, a rare thing, a handshake and a tour of the shop, which you will find is very clean and organised. You can see me here walking in the Black tee shirt at their Open Day show. Pretty much everything is done in house, even the paint, Matt has very good skills with paint, so much so that he has been requisitioned to apply the cool Custom coats of candy to many British Custom Motorcycles and as well as that, Matt is a dab hand at the Winfield style Fade away paints, including Pearlescents and Bold Candy Colors, to eye blinding and dazzling Metal-flake finishes. 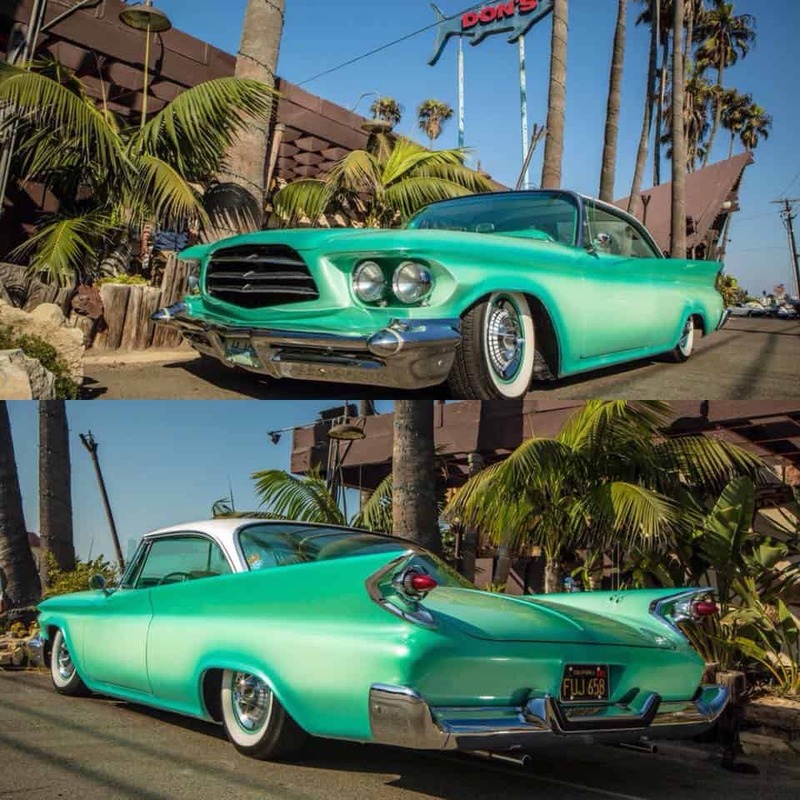 What I like about Anaheim Rod and Custom is that Matthew is not deterred in any way with Long term projects, I believe that his attitude is ” Take the Bull by the Horns” and get the job done right. 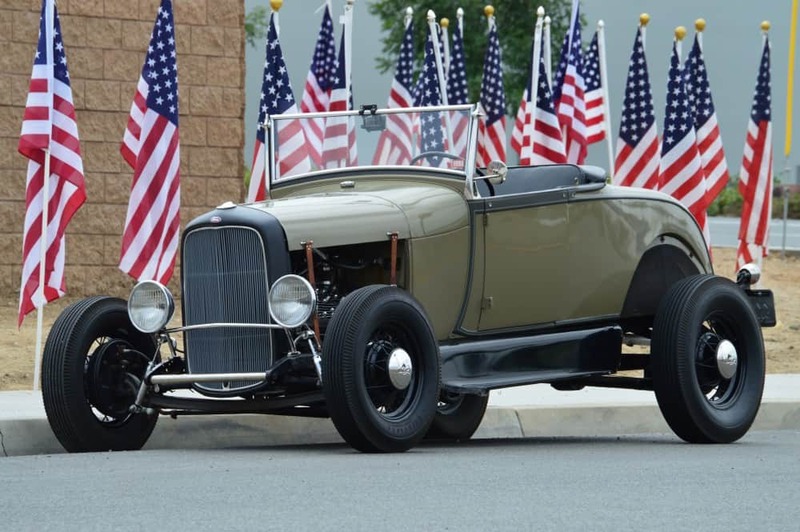 I was stuck for space with my 1928 Model A Roadster, I needed a company I trusted that could do the work that I asked for. Many just said yeah, yeah yeah and to be honest, its just a job to them. But Mathews approach is so unique to many I have seen, not only did I first of all hang out at his shop to see exactly what his work entails, I actually felt like part of the family there. 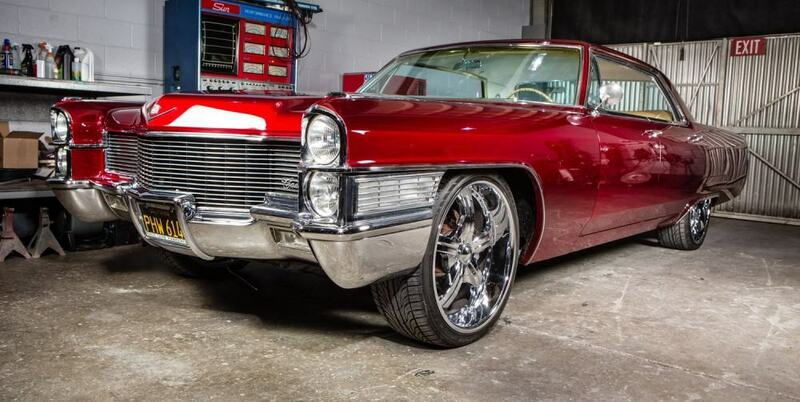 Their services offered are so vast, from Welding, Cutting, shaping Metal, Bead Rolling, Chassis work, Air Bagging, Custom Paint Spraying, to Major Electrical and the list goes on, from cars to Motorcycles to Boats, he does it all. 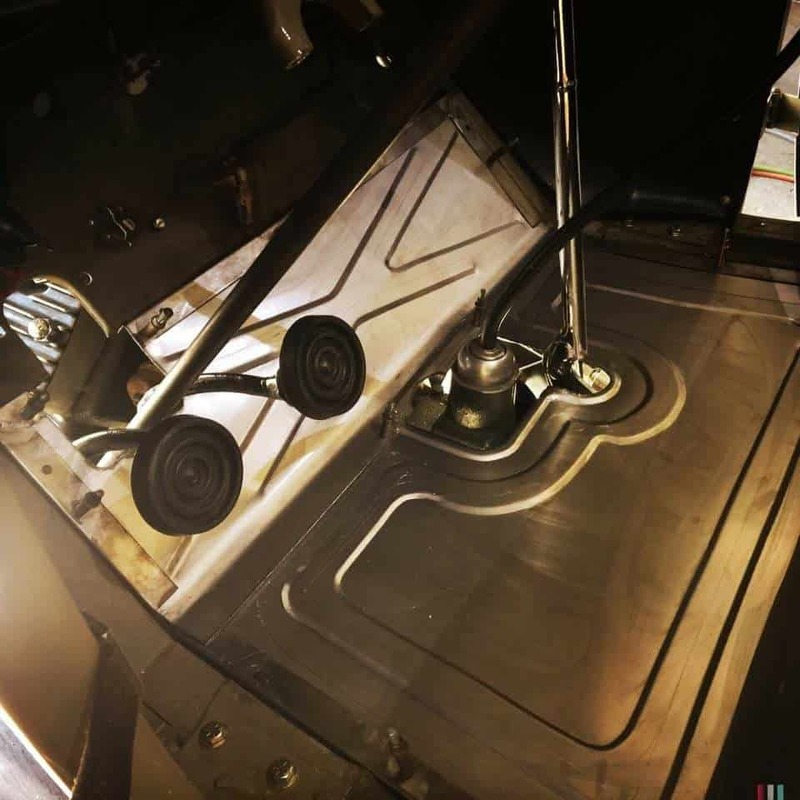 here is my steel floor that Matt hand made and boy is is great and sturdy, comp[aired to the stock Wooden Model A floor base. 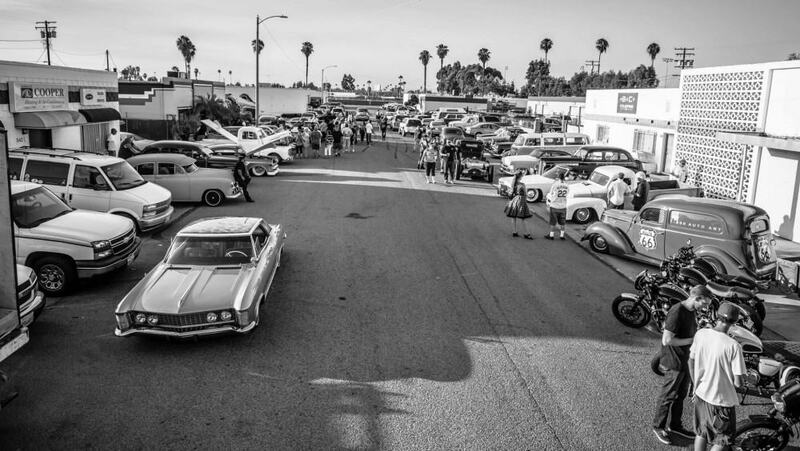 On July 23rd Anaheim Rod And Custom had their grand opening, My Roadster was there and we were invited to check the show out, turned out to be a real treat, cool Cars and Motorcycles, cool people and really had a fun time talking to new and Old Customers of Anaheim Rod And custom and look forward to more events like this. Matthew took me aside at the shop, took his own free time to get me a full and detailed Estimate, that Becky Sue had typed out into a full bound Folder and gave me a few options if I wanted to save a little money ion one area and spend on another. This was all smooth and not rushed at all. 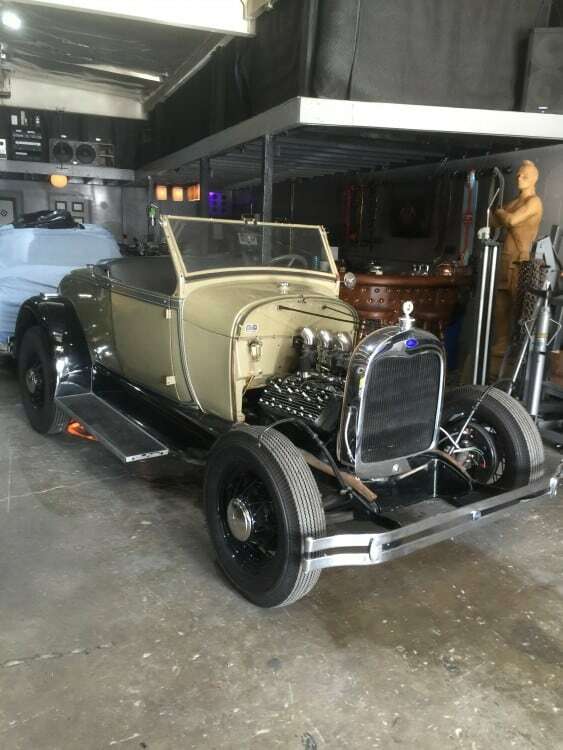 I hung out for a day when My Roadster was there to give a hand if needed, I was not needed at all but loved Matthews approach to what he did, yeah its an old Hot Rod but he dint abuse the vehicle and in fact went way above what he quoted me to do just because he wanted to do it right. How is that? I spent in excess of $13,000 there but many had quoted more and I would of had less work, all the build was also documented and everyday at the end of the work day without Fail- I would receive Progress Reports and photos to show how much headway they had made. Now I dont know anybody that does that these days. 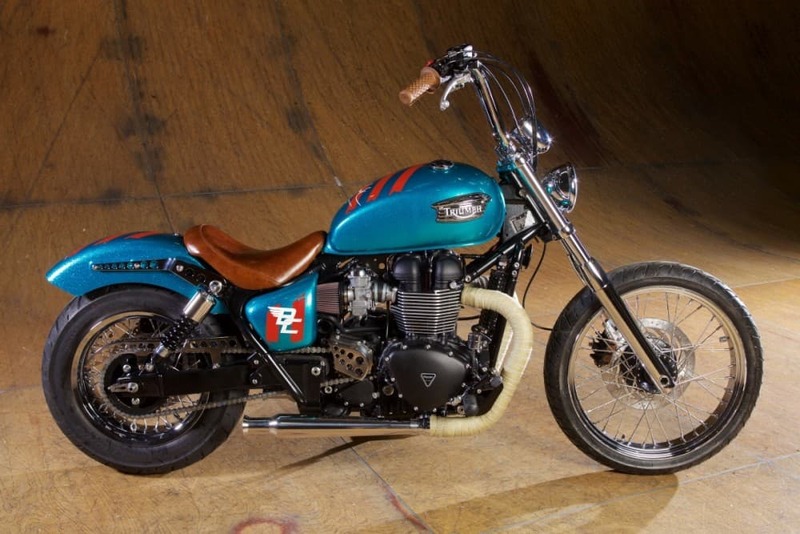 As I said too, Mathew and Becky Sue work also work with British Customs and have painted bikes owned by such celebrities as Tony Hawk, David Beckham and Orlando Bloom. Many Motorcycles have been painted by Matt and you may not of even known, but he sure is great with that Spray gun. Starting with a white pearl base coat and adding a layer of bright Candy Red, and finishing with a Black Candy top coat. 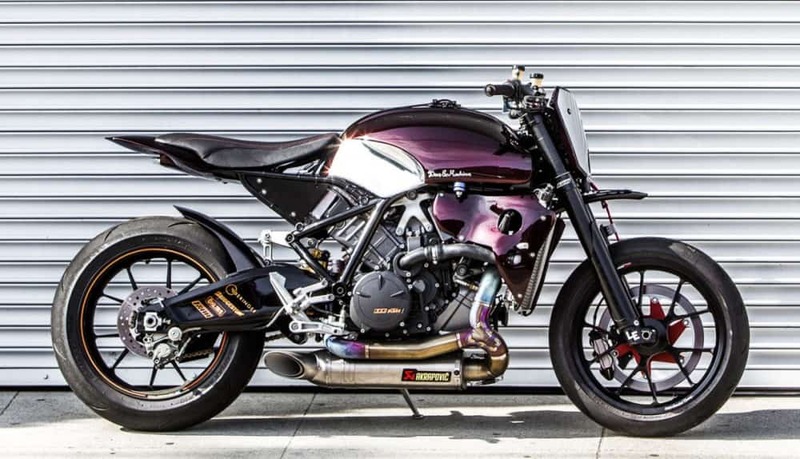 The resulting presentation is stupefying, appearing nearly pitch-black in low light with metallic deep reds and purples shining thru the highlights in full sunlight, showcasing the curves and angles of DEUS handiwork. Another bike painted and this time for British Customs, for Tony Hawks Foundation, this was auctioned off for charity, what a great job. There is always something cool going on at the shop, plus there is great music and an ambiance that is like no other shop I have ever encountered. The Paintwork is not cheap but- the attention and work that is put just into the Prep work is why his finishes are so great and the longitude is always going to be there, compared to many others. 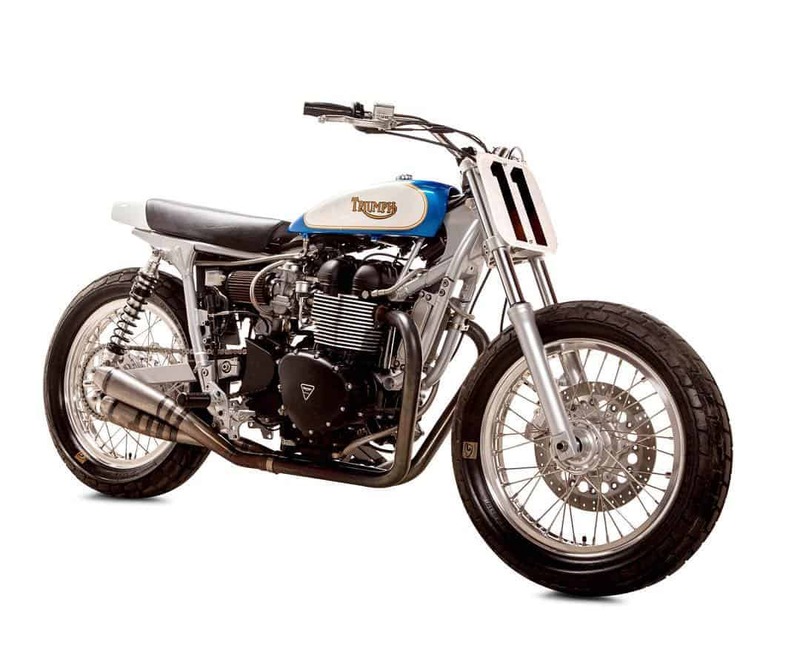 Also- Anaheim Rod and Custom partners with bike builder Micheal Woolaway, of Wooly’s workshop at Deus Ex Machina and have painted numerous motorcycles for Deus. I get Matt to paint for me as there is nobody better for the time and effort that he and his team put into each paint job, no matter how big or small the scale, the finish and quality is something that Matt finds must be paramount in any work that comes out of Anaheim Rod And Customs premises. Beck Sue Means, runs the business side of the Company, sending out quotations for potential jobs and Custom Applications, Customer service, ie follow up calls to check how they and their vehicle are doing etc. As well as the rest of the internal tasks that you have to perform daily in a Busy Custom shop office etc. She is the VP there but also will roll her sleeves up and jump in the with the rest of the crew in the workshop if needed, her Pops was a mechanic and only makes sense for Becky Sue to follow in the foot steps of her Dad. Their Contact number is: (714) 203-6589 make sure you tell them Carpy sent ya! This is a unique Company with so much passion for the Automotive art, Matt is multi talented and can weld, paint, wire, draw, sculpt etc, he has every base covered in your requirements. From a Motorcycle Gas Tank that needs to be painted, to a full tear down and rebuild of what ever you have in your Shed, Garage or a project that is still sat on your driveway needing help, these are the people to call, you will not be disappointing. 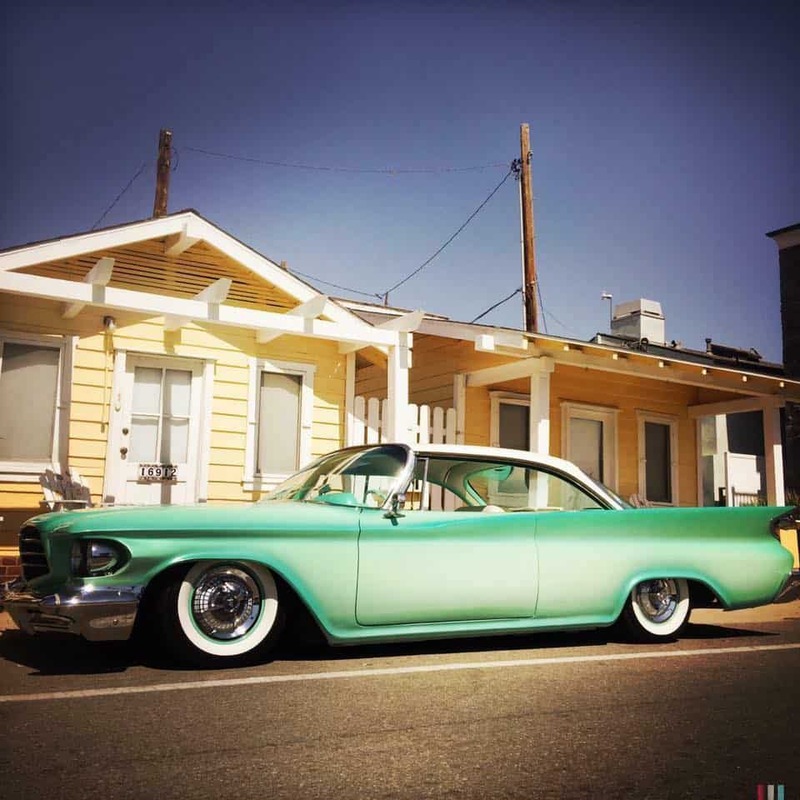 This entry was posted in Blog, Hot Rod Tips & Tech and tagged 5 spoke, American Appliance, Anaheim Rod and Custom, Bellflower tips, big block, Buick, Cadillac, Candy, Channeled, chevrolet, Chrysler, coupe, custom, Custom Fabrication, Custom workshop, flathead, ford, frenched, hot rod, Kelseys, Metal Work, metalflake, Oldsmobile, Pearlescent, pick up, pin up, pinstripe, roadster, sedan, small block, Speedster, Supremes, Tube Grill, vw, Welding.